children have four maths lessons per week. These are split into two number and calculation lessons per week and two lessons that focus on a specific area from the Shape, Space and Measure or the Handling Data strand. 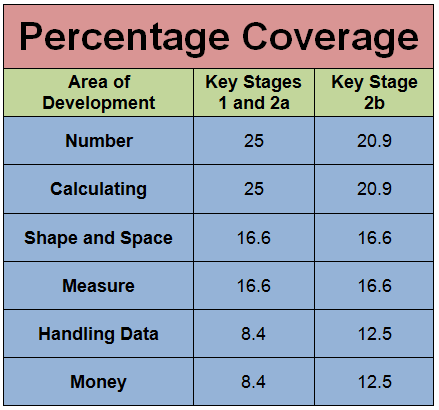 The breakdown of how Shape, Space and Measure, Money and Handling Data are taught at St Luke’s can be seen below. All images on this site are copyrighted to their respective owners, St Luke's are not responsible for the content of external sites. Symbols used on this site are used with the kind permission of Makaton, Widgit and Mayer-Johnson.